Primal Screams plays on in Screamadelica Live! On May 31, 2011, Eagle Rock released the live rock concert package Primal Scream: Screamadelica Live as a Blu-ray and a DVD/CD. Celebrating one of the seminal albums of the 1990s, the Screamadelica Live discs contain the full concert as performed by Primal Scream in 2010 at London’s Olympia, the first time it had ever been performed in its entirety. Additionally, a second eight-song “Rock Set” of other tracks from the band is included. 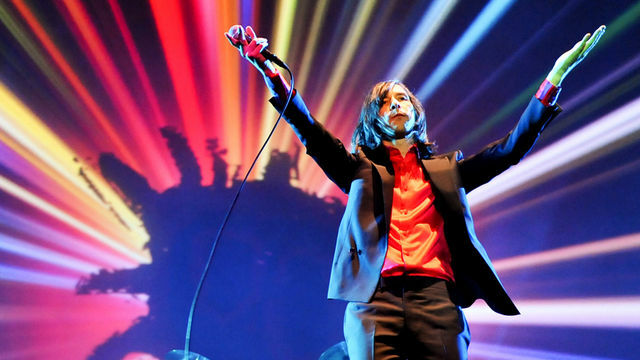 The DVD/CD package, with the full two sets and the CD with only the Screamadelica portion, showcases the band accompanied by a full brass section, a gospel choir and specially made background visuals. The Blu-ray edition also contains a segment from the British TV series Classic Albums on the creation and legacy of the original 1991 Screamadelica release. The DVD/CD package and Blu-ray each carry a list price of $19.98.